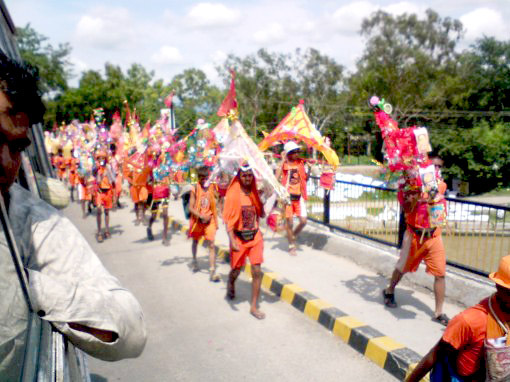 Each year during the month of Saawan, which usually falls in August, the long drive from Gurgaon to Delhi and back, is peppered with ‘Kanvariyas[i] bringing the ‘Kaavad’ or holy water carried on poles, from the Ganges, on the way back to their village temples in Gurgaon. Bhupinder, who drives my car, takes great pleasure in pointing them out to me; some barefoot, some in trucks with blaring music and others resting in the make-shift tents on the route. He delights in giving me details of their customs and the peculiarities of the ritual, where some I believe, do not put the pot of water on the ground through the entire journey on foot from Haridwar until they get home. Even when they take a nap, someone from their party of travellers is entrusted with the task of holding it on his shoulders. And Bhupinder insists that custom dictates that no one ever does this yatra[ii] only once; it has to be made at least twice in your life-time. The vagaries of sacrifice to challenge oneself, as presented through such religious rituals, never fails to amaze and fascinate me. 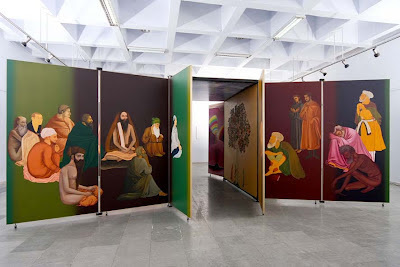 In October 2011, I walked through the glass doors of the newly furbished gallery at Lalit Kala Academy in New Delhi, into another experience with the Kaavad. 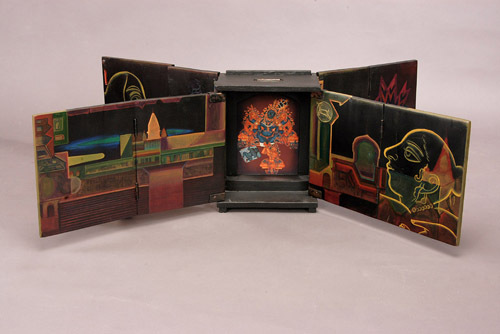 This time it referred to a portable shrine, containing painted narratives which travelling performers, like the Kaavadiya Bhats of Rajasthan used as a prop for their storytelling, where the narrator would open each door of the Kaavad to reveal a new layer, building anticipation with each new painted one to finally enter the inner core. Using this concept, artist Gulammohammed Sheikh[iii] created a monument called ‘Home’. This life-sized, box-like structure with panelled doors opened out to enable one delve deeper into the central core of the shrine, ponder on various images on the way, as each panel or door was opened. It was constructed in part by paintings with acrylic and melamine on wood, and a digital and electrically lit roof of the central hall, depicting the Baroda sky-line with various buildings that crowd the city, inhabited and abandoned, surrounding the sky like a constructed wall. Floating in the middle of this pale greyish-blue expanse, were all manner of mythical characters drawn from various texts and traditions, across the globe. I felt like a novice, a first time Kanvaria; intimidated by the swirl of images and words of the artist’s painterly universe of cross-referenced imagery that I was not well acquainted with. Rama and the deer Maricha, an angel from the Renaissance art of Italy, figures from a South-east Asian version of the Ramayana, profound words from Kabir with painted images of this weaver saint, a Chinar tree presented as the tree of life where a burning car and refugees carrying their baggage on their head, were a part of this journey through life. In addition, images from the artist’s earlier works were also presented. 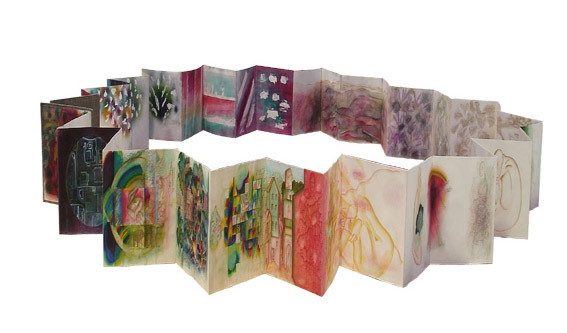 Visuals of the nuclear cloudburst of Hiroshima, Gandhi, Hitler and much more were also presented in various forms; some in smaller shrines or Kaavad-like boxes, others in digitally printed accordion-style books and as large 3-D sculptural installations. At first, I did not relate to this exhaustive outpouring for I could not find an immediate, succinct message in its vast intellectual exploration, such as I needed, to feel reassured in its midst. But I was enchanted by the marvel of technology in the making of the digital books and the eighteen-minute, three-channel video, where the artist and his collaborator had played enchantingly with all these images, juxtaposing them in historically unprecedented ways, where the imagined and the real, all came together in a kind of surreal fantasy. 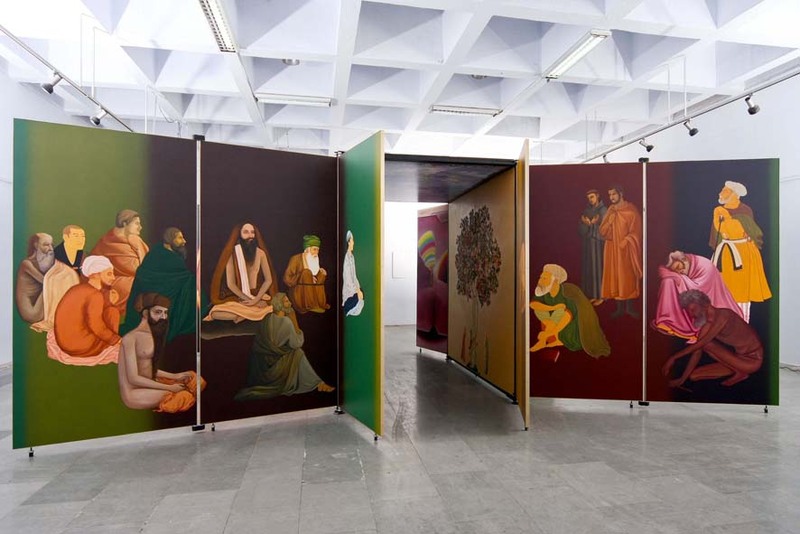 Viewing this exhibition of works by artist Gulammohammed Sheikh was akin to a pilgrimage; necessitating humility, reverence and silence to view, question, listen and understand. I was humbled by my ignorance of myths, lore, history and even some contemporary events, which Sheikh presented that I felt I should have been able to recall, but could not. I read Kavita Singh’s simple yet elegant essay, watched the videos of work-in-progress and sat through the three-channel video, alone. Watching clouds and Sheikh’s version of ‘Mappae mundi[iv] merge, as people from the past converged with the present, I saw through aerial maps from Google, what this, our corner of the earth looked like from the sky; where perhaps some unseen eye of God observed and judged, and then maybe not. Sheikh explored notions of a world gone by through figures of the past. He also called into question, by juxtaposing them with the contemporary world, the way we live today. He brought into play the demolition of Babri Masjid, Godhra riots and the issue of ‘whose Kashmir’: to whom does this coveted land belong? Were the sweepers of Baroda, who sweep away the city’s dirt, also the very people instrumental in creating the violence that Gujarat has seen? All this and more was referenced in a quest to find meaning or solace or some perspective. Searching for clarity, Sheikh sieved through years of human history, asking us to question the premise of our existence today and where we draw our ideas from. He questioned not just parameters of contemporary life and historical ways of living, such as a possible parallel, in the traditional churning of the seas or samundra manthan and the bombing of Hiroshima; Sheikh also enquired into the all-encompassing notion of life itself. Is there a right way or a wrong way to live? Was Ravana’s deception, his disguise as the deer Maricha legitimate? Sheikh drew me into an internal dialogue with myself, compelling me to question my own exploration of these ideas, making me aware of deeper reaches of my cultural and philosophical past. Like the Kanvarias I had observed on NH8, I too did not put the quest to rest, but kept up this solitary conversation with the artworks, even after I had left the gallery space. And when I returned home, late in the evening, I went through my library of books, looking up all those characters and notions I lacked in knowing. In this vast, exhaustive and intellectually rich presentation, I felt over-awed by the legendary characters and events which Sheikh had chosen to speak through, but where the self-effacing artist had seemingly retreated into the background, leaving me to decide for myself. I cannot claim mastery over this vast repertoire of intellectual icons. I have not really explored these specific facets of life, or read the books he has, nor pondered the profundity of these words. When humbled by my inept and limited knowing, how could I possibly decide what the truth was, what was right or wrong, if at all? But Sheikh did not tell us. He presented a gamut of ideas, lending direction, but implying that each one had to decipher the truth for themselves. This pilgrimage, my very own experience as a novice Kanvaria, of carrying the burden of my ignorance through Sheikh’s universe, reminded me with each step, of all the world’s literature, myths and lore I had yet to explore; of countless intellectual journeys I had yet to take, or as Bhupinder had told me that a Kanvaria must do, at least twice in my life-time. 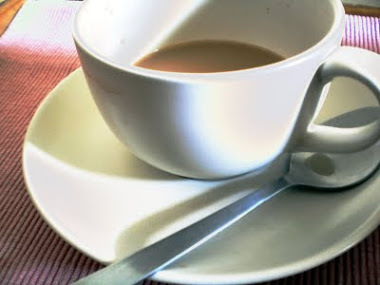 As I sipped a cup of tea the next morning, I wondered: if and when I have performed this gargantuan intellectual exercise, will I find some answers to the all-encompassing, paradoxical nature of life? Does anyone? [iii] (b. 1937) is an artist, educationist and writer whose work has spanned more than five decades. He is a founder-member of Group 1890, which was founded in 1963 by a group of artists. [iv] Mappae mundi were schematic and meant to illustrate different principles These diagrams were primarily meant to preserve and illustrate classical learning. 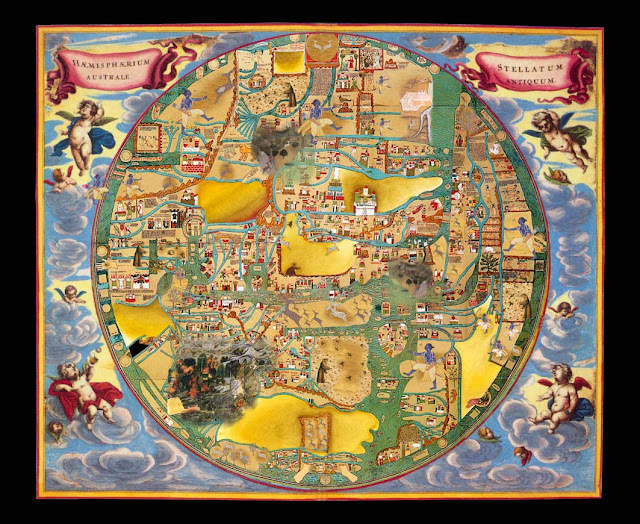 The zonal maps were a kind of teaching aid—easily reproduced and designed to reinforce the idea of the Earth's sphericity and climate zones. In December, Delhi usually gets quite chilly. But last year, the weather was exceedingly strange. Most of December was so warm that I didn’t need to wear socks or even loosely wrap a shawl. One night, however, it rained. The next day, Friday, was bleak; no sun and the chill seemed to seep in. I wrapped up well but couldn’t adapt quickly enough to this unpredictable weather. I had the sniffles that night. Did the usual ministrations to prevent a full blown cold but the symptoms didn’t totally disappear. I pushed myself to do yoga the next morning. I had overslept and felt very lethargic, but slowly got myself together and actually managed the full regimen which always makes me feel really good; in control. 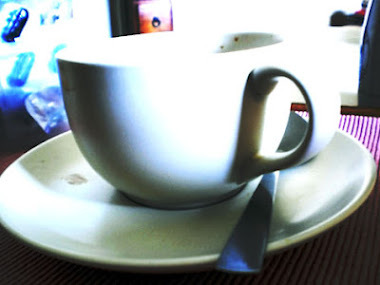 But later, I felt sluggish again, so decided to drink some masala chai with adrak, Tulsi and Echinacea, combining them with the other spices that make up the regular masala. Adrak heats up the body temperature, Tulsi, with its anti-oxidant properties boosts the immune system and Echinacea is also good for colds. I could have done some mudras to raise the body temperature, exercises to activate the thymus, as I did the evening before, but sometimes all this doing really becomes tedious. How much healing can I do? Why do I have to get a cold, when there is so much to be done? Spend the whole day pandering to whatever emotional need was creating this dis-ease in my system? Trying to balance oneself through each day, between ideals, aspirations and the practical aspects of living, means looking at everything with a fine toothcomb and sometimes it gets to me. I needed some creative intervention, so added finishing touches to the embroidery I had been working on; a portrait of Jehangir, the child who works at a tea stall in Palam Vihar. This had taken quite a while to complete and the process had been thought provoking too. It was challenging to bring, the gamut of my experience of engaging with this boy, into a visual context. I had taken digital photographs, worked with Photoshop on them, then had these images digitally printed onto fabric. The ideas that emerged from my experience did not convey lushness or a comfortable feeling. So I opted to use fabric that had an everyday quality; not glossy or expensive. I used muslin and markeen for the digital printing, layered the images in multiples of three; one on markeen [as the base] and two on mul. I then stitched these layers together with a loose running stitch, like those used in ‘kantha’ embroidery of Bengal. I feel a bit odd appropriating its name and associations when my usage has no direct relationship to the tradition, but I do like the idea of what I am doing being rooted in such a rich tradition of crafting. I recollect reading about Kantha, or Sujni as it is called in Bihar, for the first time in the early 1980s. 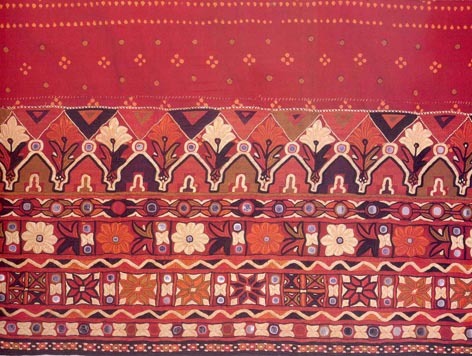 The India Magazine carried a story about how women used old and worn-out dhotis, worn by men, and sometimes sarees, to make quilts; stitching together three or more layers of this well-worn and softened fabric with a running stitch and sometimes a back stitch too. I have been fascinated ever since, but incorporated this technique in my own work, just five or six years ago. I love the rugged quilted look that comes from binding layers of soft, well-worn material together. Depending upon the distance between the rows of stitches and the thickness of the layers, the texture is quirky and unpredictable, augmenting the narrative such that form or colour alone could not. The women of Bihar and Bengal create lush, naive imagery with this technique; embroidering stories around religious myths and their own lives, depicting daily and festive rituals, often finishing the work with woven borders cut out of old sarees. I work in my own way, not really drawing upon these traditional practices. 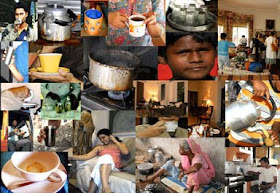 I tally the colour of my thread with the colours on the printed fabric, changing as needed, to match the colour modulation of the printed image, but I use the thread-work to bring out the features of people, utensils, kettles, tea cups and the stains in them. I watch what emerges intuitively and then orchestrate the technique, threads, colour and textures to bring out qualities that are evocative of my thoughts and feelings about the person or situation. Jehangir was a difficult task. How could I convey my frustrations, limitations, guilt and concern without overriding this young boy’s courage, or the spirit with which he and others like him accepted their life and its travails with grace? To me, he seemed so grown up, so unlike the children of more wealthy and privileged parents. 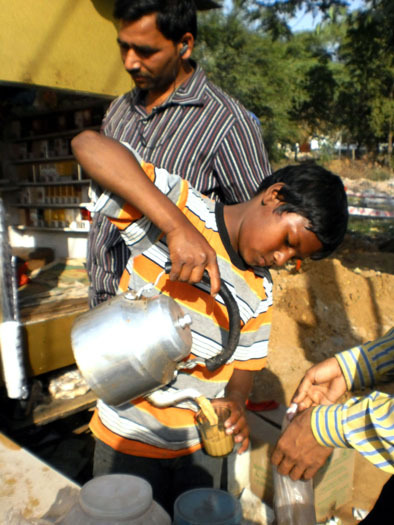 At his young age of ten or so, he was taking responsibility for his family, working to provide food and shelter, assisting his parents in doing so. How many of us have had to do this at ten? I was about the same age when I learned cross-stitch embroidery. A birthday gift-set of some fabric and designs to embroider had me spend many hours, during school holidays that winter, doing this. Cross stitch is not part of the popular repertoire of traditional Indian embroidery but, just like its more natural for me to speak the English language than write or converse in Hindi, cross stitch is also ‘native’ to my fingers. I once tried to transfer a well-known Indian miniature painting of a ‘nayika’ in a red dress, seated on a bed of white flowers waiting for her lover, onto fabric, using cross stitch. I gave up after a year because I had chosen too fine a count of fabric, and had barely managed to complete one-third of the whole picture in this time. There’s something very fascinating about the process of embroidering a picture using squares. This breaks down the figure not unlike the pixels of a digital image. 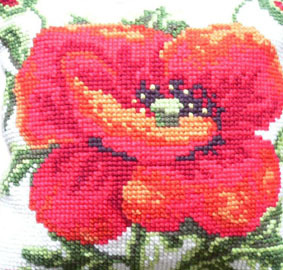 The cross-stitch method uses fabric that has little squares, demarcated with dots for easy insertion of the needle. The square is then defined by means of a thread that crosses itself, diagonally, going in and out of the four holes. There are many variables of this fabric called Aida or cross-stitch matte, manufactured specifically for this type of embroidery. The varieties you get in Delhi are very coarse as cross-stitch is not popular, so I have to go to great lengths to get the fabric I need. The latest purchase was on-line from a store in Australia, where I paid an exorbitant amount for it, primarily because of the cost of sending it all the way to India. However, I love the patterns you can make using this fabric; and the ordered manner in which these are executed, appeals to my inherent need for order. This language of thread, using a traditional stitch like ‘Kantha’ along with the adopted ‘tradition’ of cross stitch, makes me marvel at how customs from diverse cultures have become part of my own. 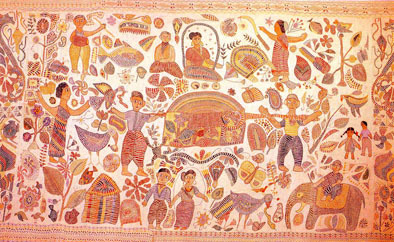 I have no idea about the origin of cross-stitch and how it permeated the Indian psyche. Everyone I asked assumed it must be related to the influence of Christian missionaries or a more direct, colonial fall-out. I had gone to an Irish Catholic, convent school so am familiar with how much of the culture they brought with them has unquestioningly percolated into our lives. When did they come to India? Did the practice of cross-stitch really come through them or was there some other link? 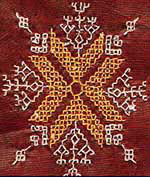 I did some quick research, and discovered few examples of cross-stitch in garments from Hissar, Bihar, Sindh and Baluchistan. Most were folk and tribal dresses from around the late nineteenth or early twentieth century. 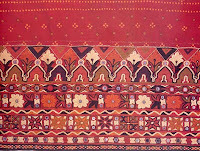 Kasuti, which is done in Karnataka, also uses the spaces between warp and weft threads, counting them, to create geometric patterns but, as yet, I have not found out how this technique came to the sub-continent or why it remains on the periphery of the embroidery practices for which India is renowned. 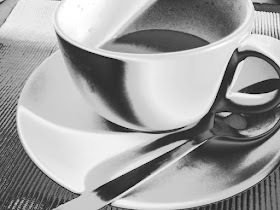 Sipping my tea, warming my hands as I held the round white cup, I started thinking on another tangent - of the larger socio-political influences. 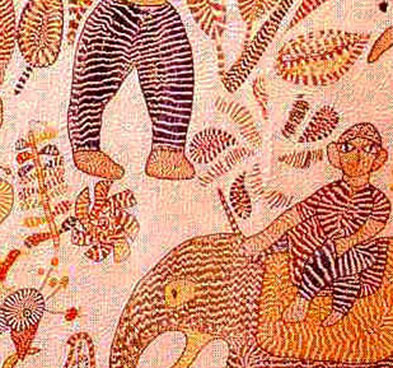 Was it possible that ideas governing our attitude to life, ourselves and to people like Jehangir, today, were derived like cross-stitch, from cultures that had seeped into ours through centuries of invasion and rule by foreigners, but were technically not Indian? How relevant is this question of identity, the origin of things? I mean what’s relevant, is what is, right? The much touted spiritual mantra of the day, of living in the present moment, seems to contradict my quest to study the past but this mystery, whodunit trail is just too fascinating to pass up on. The investigation may lead to nothing, or to some nebulous, unintelligible idea or infinitely, unrealistic possibilities, but the process of examining how things came into being; what came from where, when and how and the possibility of their influence on my thinking, intrigues me. Unravelling these threads doesn’t just fuel my curiosity, it lends purpose to being. It’s as if I am becoming acquainted with the dots or squares or pixels, as it were, that paint the larger picture of me. Inspired by this criss-cross of threads from the past, I return to look at the thoughts I’d earlier neglected to examine, which had brought on the sniffles.